The restaurant delivery scene has exploded over the past few years and has finally expanded into the fast food industry. Now, all of the top fast food joints – from Chipotle to McDonald’s, Starbucks, and Popeyes – are partnered with centralized delivery services to bring the meal of your choice right to your doorstep. For days when you don’t feel like getting off the couch? There’s nothing better. Caviar is a beautifully-designed delivery app that allows you to choose from delivery options like Staff Picks, Free Delivery, Delivery Under 30 Minutes, Trending, New, or Healthy. You can also search by craving or cuisine, such as “chicken” or “Thai,” or search based on your location. Once you’ve decided on your order, simply add the items to your cart including sides and dressings/sauces, proceed to payment and delivery information, and place your order. You can receive updates via texts or track your order using a real-time GPS as well. DoorDash is one of the most popular fast food delivery apps for large cities, where it is available in more than 1,200 towns across the U.S. and Canada. 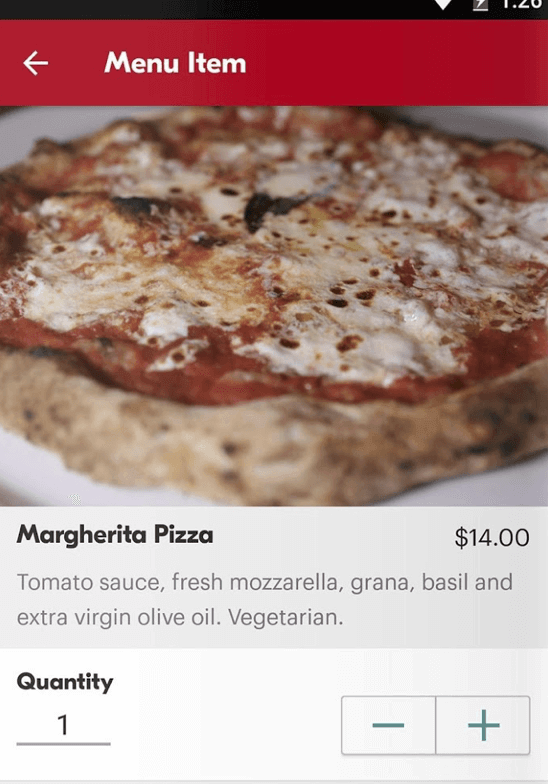 DoorDash also allows you to browse by cuisine or scroll through Featured Partners and Free Delivery. First, register with your name and address. Then once you see a restaurant that fits your craving fancy, simply open the restaurant page to see a photo carousel of popular items to choose from. Scroll down further for the full menu. Add your items to your cart (don’t forget drinks) and choose your payment method. 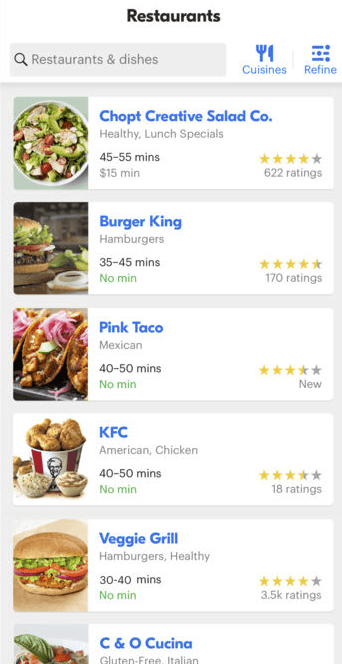 Keep in mind that DoorDash may charge “surge” pricing during busy hours, but overall, it’s one of the best apps to get you virtually any food – and fast. It’s true: Uber is now in the food delivery game. To use UberEats, sign in to the app using your Uber information and browse a variety of chain, fast food restaurants, and grocery stores that deliver near you. 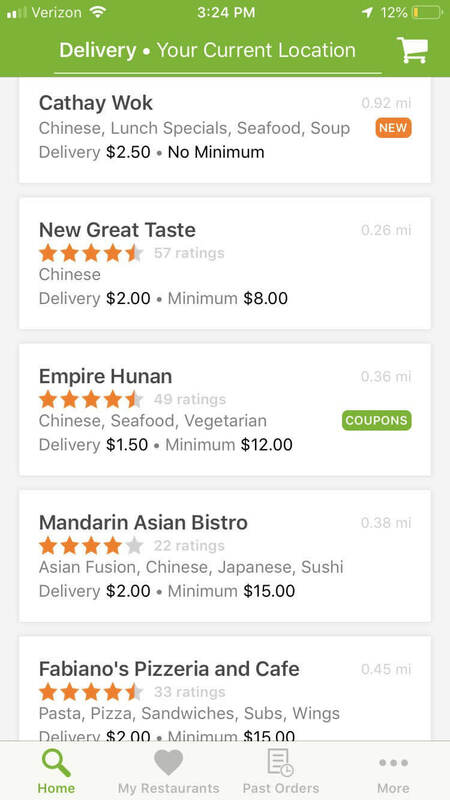 You can also view food options based on popularity, New to Uber, or by choosing between 70+ cuisines. Once you’ve decided on your order (photos of menu items are there to help!) add the order to your cart and choose to pay using your Uber account or credit card. Delivery prices vary from $5 or more, depending on how busy the delivery time is. GrubHub is similar to other apps on this list but with a bonus: their delivery is free. Simply choose using the search bar, or browse by cuisine. You’ll notice that the most popular items for each chain or restaurant are listed at the top of the menu page. To order, enter your address if you haven’t already, then add items to your cart and pay. They accept several payment options including recently-added Venmo. Oh, and did we mention GrubHub’s staff is on hand 24/7 to make sure you’re taken care of? No matter what time of day you order your dish, you can reach out to their customer care team if you run into any issues. When it comes to centralized delivery – that’s a game-changer. Eat24 offers most of the same perks as GrubHub; in fact, GrubHub owns the company. Browse through more than 50 cuisines up for delivery or pickup from a variety of chains and view menus, as well as check out reviews and recommendations of whatever restaurant you’re considering. 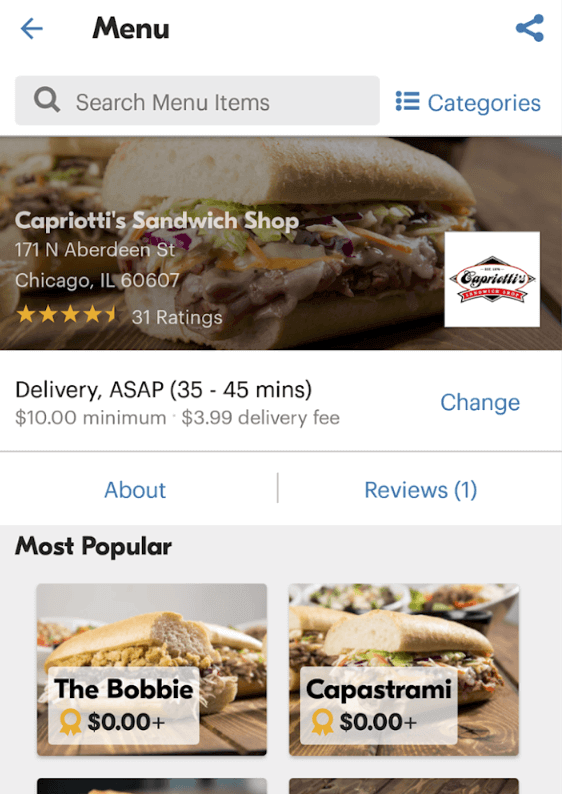 Some of the most useful features on Eat24 are the “reorder” and “preorder” features. If you order something you know you’ll crave again, remember to look for it in your order history. As for preordering, you can conveniently schedule your orders for days ahead of time. BeyondMenu also has no delivery fees and lets you browse through thousands of restaurants and over 40 cuisine types. These are even organized by dietary restrictions and food items, making it easy to order if you’re a gluten-free foodie craving chicken, for example. Another thing BeyondMenu allows you to do is make reservations at the restaurants on its list (if the restaurant offers them, of course). Once you’ve entered your address and added items to your cart, just choose your payment method and delivery/pickup/reservation option. Postmates is one of the few delivery apps that is available 24/7, as long as the restaurant you’re ordering from is still open. It is available in 2,940 U.S. cities, and in addition to letting you order delivery or pickup from restaurants and chains, it also includes ordering options from grocery and liquor stores. 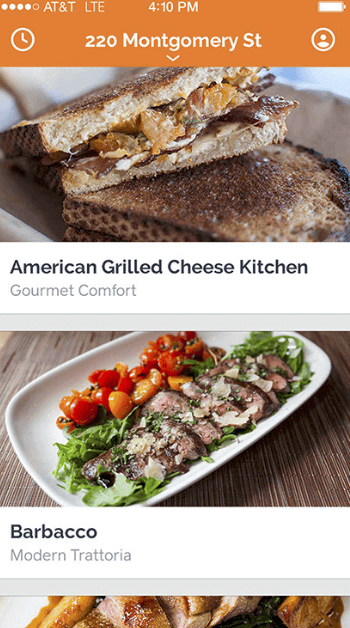 You can order based on new items or restaurants, curated favorites, or by using the search bar. Once you’ve added an order to your cart, proceed to the payment options. Know that Postmates does charge a delivery fee ranging from $3.99 to $9.99; however, they are pretty good about offering deals that could make the fee worth it. If you order often, you can also save by joining their Postmates Unlimited program for $9.99 per month, which gives you free delivery on all orders over $20. Delivery.com not only delivers food, groceries, and liquor, but it also offers other delivery services and ordering, like wash and fold laundry and dry cleaning. You can choose food based on cuisine or search for other services under subheadings like “Laundry” and “Groceries.” You will also see popular restaurants listed, in case you’re having a hard time choosing. Delivery.com also offers a points program, where you get 20 delivery points for every $1 spent, which you can put towards rewards. Seamless caters exclusively to NYC and functions much like GrubHub. 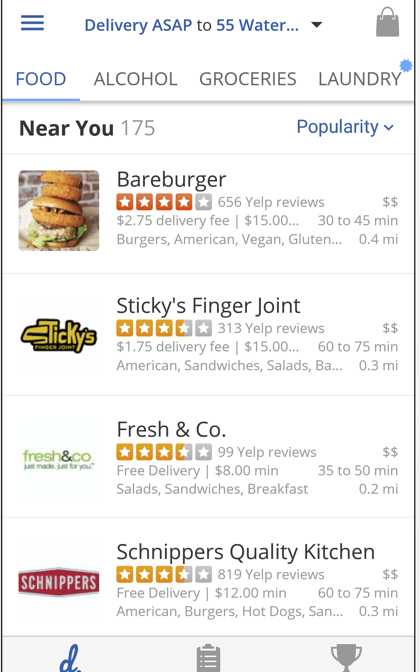 While it’s great if you’re looking for restaurants only in NYC, know that it does have less cuisine types available to search by than other apps (24 cuisines). However, your first delivery on the app is free, so it might be worth downloading during your next trip to the Big Apple. As you can see, the options for kicking it in your PJs all day (with snacks!) are plentiful. And if you’re still looking for more ways to get food delivered to you, check out these fast food restaurants that deliver.